Jewel has always had a way with words. Now the Grammy-nominated songwriter is pouring her talents literary talents into a new project: a book! PEOPLE.com has the exclusive first look at her first full-length memoir, Never Broken: Songs Are Only Half the Story. The book, set to be released on Sept. 15, will chronicle her life and career, including her unconventional upbringing and her path to stardom. In it, she will also share advice and lessons learned from her experiences. "My life has been about constantly challenging myself to discover who I am, and to become responsible for my own happiness rather than being a victim of whatever fate has thrown my way," Jewel, 40, said in the release for the book. "I hope that the personal experiences I write about will help others to understand that, no matter how bleak or how gilded, we are not prisoners of our circumstance unless we believe ourselves to be." 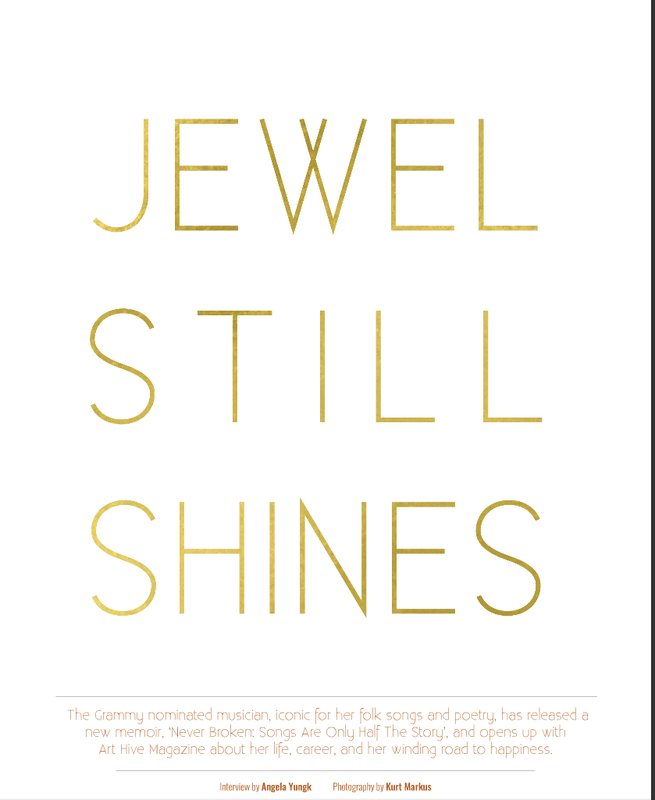 Adds her editor Sarah Hochman: "Jewel has survived and triumphed in the wilderness of Alaska and the wilderness of rock stardom to become a cultural icon. Her writing reveals a poet's instinct and a pioneer's indomitable spirit." So how come I'm seeing on the Twitter that some folks are lucky enough to get advanced copies of the book? What about us EDAs? I think WE rate don't we? ^ Yeah, what she said!! Let's just forget that whole quitting thing, shall we? What if people go to one of these book signings after they've pre-ordered, but before receiving it? Do they have to buy another one? I mean, you can't very well have her sign a book that's not in your hands yet. Yep - you'll have to buy another one. In those instances, the book store is paying Jewel a set amount - especially if there's no ticket purchase. This is how the company will make their money. It's a pretty good deal for you, if you think about it. The event in Phoenix is going to be a ticketed event that isn't in a bookstore, so I'll be buying a ticket and I bet it'll cost more than $ 15.00. I think the San Diego event is similar to this. I'm planning to buy another copy to be signed 'to me' by Jewel at the BAM in Birmingham even though I preordered the Silver pkg. signed Book and signed 'PUTP' CD. 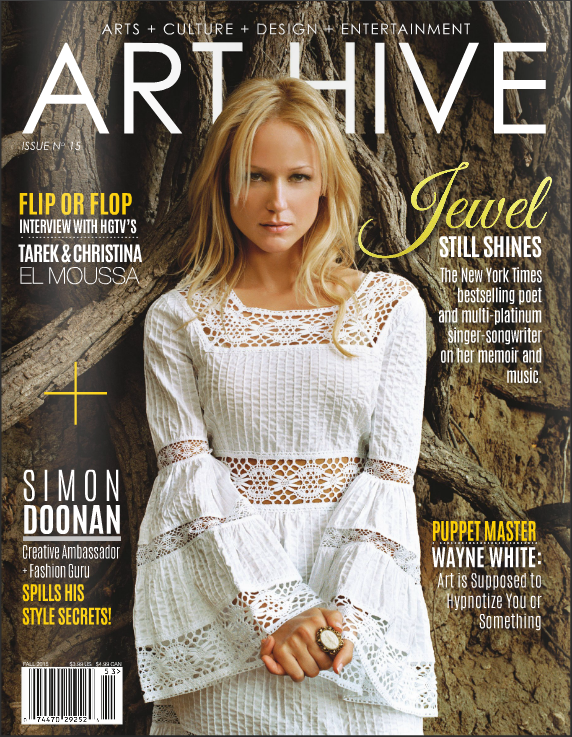 The signed copy from the jeweljk store will not have a personal message, no matter how short, but will make a great gift for another fan. YUP. Same thing when I went to the Stevie Nicks signing. EDIT: This shouldn't be this hard Sorry! "Don't assume somebody else knows what is best for your art than what silence can teach you. I think it's important to really spend time in the quiet and really explore your own creativity in a very authentic and genuine way, otherwise it becomes a bit contrived. And that's not to say that you don't need influences, I think it's great to listen to music and read books. The more educated and versed you are in great writing, the better the writer you will become. At the same time, I don't necessarily recommend that people go to vocal teachers ... and if you do, be quite careful with it because the only thing we really have as leverage and currency as artists is our uniueness of thought. To develop on your own you have to spend time in silence and experiment to find originality." I think that's pretty good advice. I also think the person who wrote this article mucked up the punctuation. Interesting that she (very nicely) chucked a fastball at vocal teachers. Didn't I read somewhere that she utilized one while recording POY and that the result was Kermit? I still want to know what the deluxe edition is. Seriously, WHAT IS THIS?! Not gonna lie, this was my first thought, too. But I like how we at least got a better pic of her in that white dress. I think book talk brings this into relevance again. Have you all seen this, from the 2012 National Book Festival? She talks writing a lot, and dances around some personal stuff (awkward Mom question alert!) and she was funny, too. "Peeing in peoples' lawns, you know, in Pacific Beach/San Diego where I surfed every day was no problem for me....That'll end up a quote. Yeah." It's one of those videos that I'll intend to watch a few minutes of before being sucked in and before I know it, I've watched it all. I should probably not be here today. I should probably not even be alive. Being alive, I should have become an addict, knocked up as a teenager, or stuck romantically in a cycle of abuse. If you look at my life at any stage you might’ve said, This girl will never make it, and you probably would’ve been right. What I had going for me, however, was that at a fairly young age I figured out what I wanted. Happiness. You have to know what you want to ever be able to have it. Here are the broad strokes: My two brothers and I were raised by a musical family, and I spent my early childhood performing with my parents in Anchorage for tourists. When I was eight, my mother left and my dad moved us to the family homestead in rural Alaska, a log cabin with creek water to drink, no plumbing or most modern conveniences. My dad did the best he could, but handled the stress of being a single parent by drinking and perpetuating the only parenting style he knew—the one he was raised with—which was creative at its best, and abusive at its worst. At age fifteen I was finally fed up, depressed, and worried that if I didn’t make a break for it I would lose myself entirely. I decided to move out. Aware that by doing so, the probability of me becoming just another statistic was high. Kids like me end up doing the same thing we saw while being raised . . . there are rarely happy endings. I wanted to beat those odds, and I knew that to do so I would have to use all my logic, heart, wit, and talent to end up differently. To be different, I had to act different. Which left me with a problem: how do you act differently than the way you are taught? This question set me on a journey to learn a new way of being, so I could create a life with a different outcome, rather than just feel fated to repeat the cycles and patterns I was familiar with. I vowed to study myself and my life like a scientist, to see what did and didn’t work—how to get what I lacked and so desperately wanted: happiness. So at fifteen I moved out on my own and paid my own rent on a one- room cabin by working several jobs. I got a scholarship to a private school at sixteen. I put myself through high school and graduated. I became homeless later that year. I was discovered by record labels at nineteen. I became a worldwide phenomenon at twenty-one, traveling the globe nonstop. I fell in love at twenty-five. At thirty, I found out that not only was all my money gone, but I was several million dollars in debt. The same year I came to feel that my mom, who was also my manager, was not the person I believed she was. And here I am today. Forty years old, newly divorced. I earned back a fortune, I’m discovering new ways to do business. Finally, there is my greatest success: I am lucky enough to be a mother. And I’m still continuing the journey, relearning how to be truly safe in the world, and it isn’t what I thought. It’s not by avoiding pain in life—that’s impossible—it’s by knowing that safety is in vulnerability, not in armor. It sounds counterintuitive but it’s true. Life takes each of us to the anvil, shapes us with fire and hammer, and some of us break while some of us become stronger, more able to face the day. Even happy. The great myth is that you need money, time, love, education, expensive therapy, a house, a fill-in-the-blank to get the happiness you want. I am here to tell you, you need nothing other than what is in your heart. How much do you believe that you deserve something, and how willing are you to do whatever it takes to achieve it? Personal growth, fulfillment, success, and even happiness—be it personal or professional—are not for the lazy, for the faint of heart, for the victim, for the one who passes the buck. Change is for the warrior. If you look in the mirror and say, I am willing to be the one who is accountable and take responsibility for my own happiness and the shape of my own life, then I welcome you as a friend on this journey. I believe in you. I believe we are whole, intact, and capable of claiming the quality of life we all deserve. This I know: our essential self cannot be erased no matter what we endure. The truth is that no one can keep you captive. No one can keep you unhappy. No one can keep you abused. Our lives rise to the level we accept. I do believe we can rise from the screaming blood of our losses, of extreme pain, physically debilitating emotion, psychological neglect, and apathy, and not merely survive, but thrive. We do not need to let our histories or our losses define us except in the way we choose. We can use them as fuel to create real depth, beauty, connectedness, and compassion in our lives. Our stories can make us exceptional people, not damaged ones. If we choose to be truthful with ourselves. And if we choose to digest and release the pain rather than try to avoid it. This is how pain ac- cumulates and creates more pain, leading to neurosis, pathology, and brittleness of spirit. We cannot always control or avoid what happens to us, but we can control what it does to our spirit. And the quality of our spirit becomes the filter through which we see life. And as the philosophers say, reality is our perception of it. I believe those words. Our reality is what we believe it to be. What we believe informs our thoughts. Our thoughts inform our actions. Our actions build our lives. My own life has been an exercise in challenging my beliefs so that I could reimagine my future. So that I could avoid becoming the statistic and instead become the architect who tried to consciously draw the lines of her own life, free of the heartbreak that birthed me. When I first left home, I got a few jobs, singing locally and giving horse rides to tourists, and at night I would get out my notepad and pen to write. I called my journal “the happiness project,” and I had no idea that it would lead me not only on a journey of deep personal discovery, but would also lead me from the fishing village of Homer, Alaska, to songwriting, to the White House, to the Vatican, to the cover of Time magazine, and beyond. Most important, the exercise of writing and looking inward led me to myself, and to discovering my own definition of happiness. It is a journey I am still on today. But I get ahead of myself. Let’s start at the beginning. At thirty, I found out that not only was all my money gone, but I was several million dollars in debt. The same year I came to feel that my mom, who was also my manager, was not the person I believed she was. Sooo.... how much do we think Jewel really liked the travesty of the pink frisbee? announcement must be presented. So thanks for that. drastically cut. No artist is exempt to this, so it affects us too. Jewel had, as usual, a very specific creative vision for her next music. The album she envisioned was an expensive one to make, promote and tour. entire story, it's a pretty interesting one. Cafe and her tour. So there might be more we can do together. be a lot of press going on. on the commercial single we are releasing mid-May-ish. And her message telling us she won't be Jewel's manager anymore, June 16th. and I feel it's time to make that move complete. industry is in, things have become much more difficult for artists. staff at Azoff Music Management. certainly not walking away entirely! the continual demands of her career always coming first. still be in touch. You know I think you are the greatest fans on earth! Gah, this whole thing is even sadder when you realize just basic little details. And then there's freaking Jewel: Unedited! That was a nightmare from start to finish.